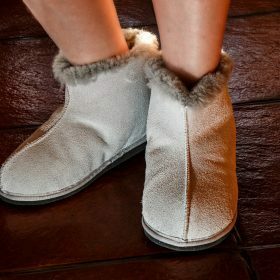 If you love your shoes to be comfortable and look good, slippers are without a doubt the best shoes for you. Ideal for both outdoor and indoor use, they provide a comfortable experience without looking ugly. We are currently loving black leather slippers to finish off a casual look or a comfortable wool pair to wear around the house. Use the filters to search by color, material and size and find your new favorite pair of shoes.